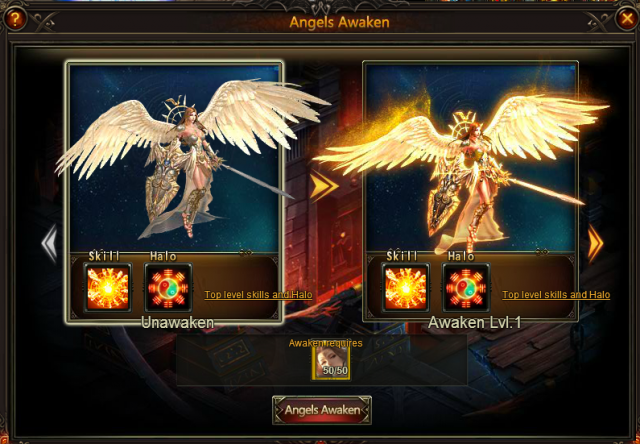 LoA new Angels system Angel Awaken_Have fun and Enjoy this new feature! Hello Warriors, Good news! A new gameplay will show up in Angels system! 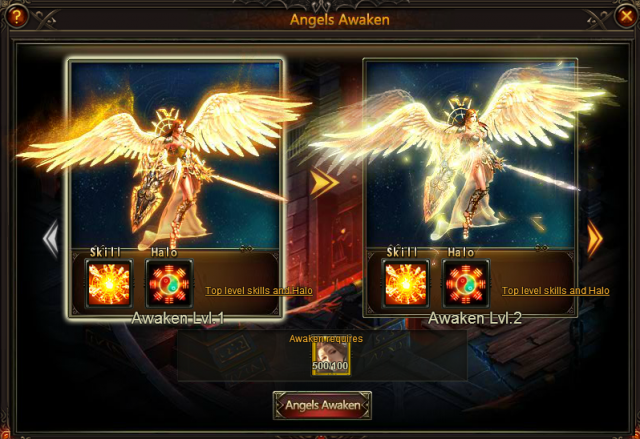 Angel Awaken, which can make your angels more powerful and gorgeous, is going to be online soon. Can't wait to see it? Here we bring you more details about this brand new gameplay. Come and check it out! 1. 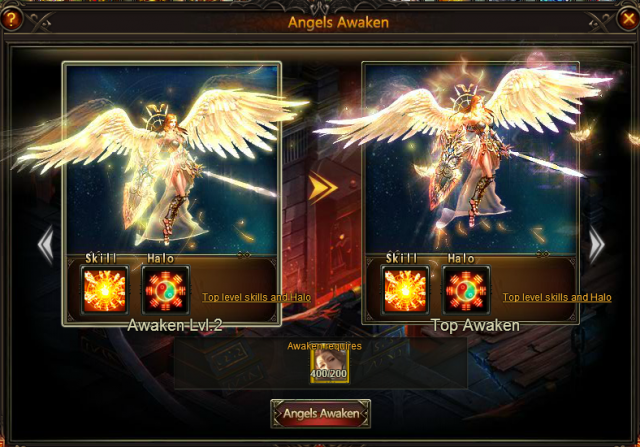 When your angel is illuminated, this Awaken icon will show up. 2. Click this Awaken Interface. 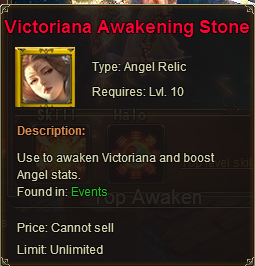 Collect enough required Awakening Stone to awaken the angel. Awakening Stone can be obtained in events. 3. Each angel can be awakened 1-3 times. Awaken Lvl.1, Awaken Lvl.2, Top Awaken. 4. 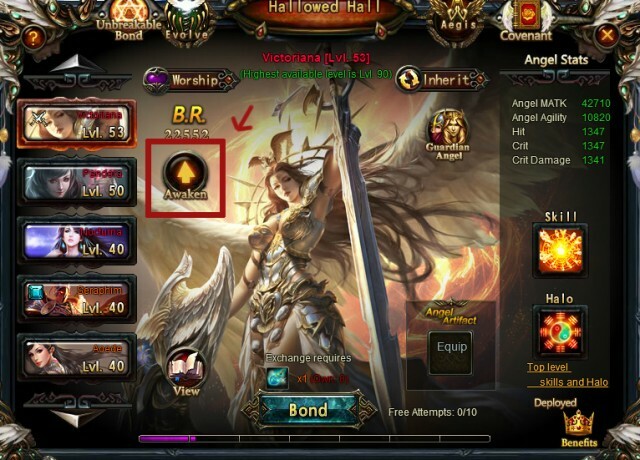 The Stats of the Angel Skill and Halo will improve after awakening. 5. After awakening, the View picture will change too. Not all angels can be awakened at present, The following is the 11 angels which can be awakened after this next update. We will continually add angels that can be awakened. Have fun and Enjoy this new feature!